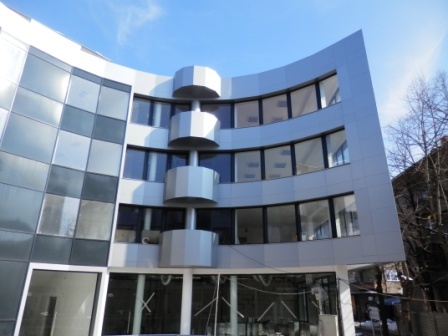 Cheh Plast Ltd completed another building that performs together with longtime partner GBS - Tonzos. 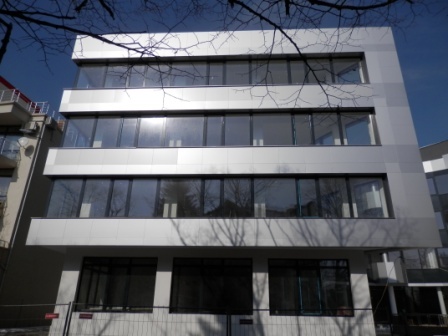 It was assigned the execution of facade E85, E45 exterior aluminum windows, facade composite panel, glass doors and windows on the ground floor and basement of the commercial areas and interior aluminum doors Business Incubator. Challenges are not lacking, as I want to draw attention to two of them. 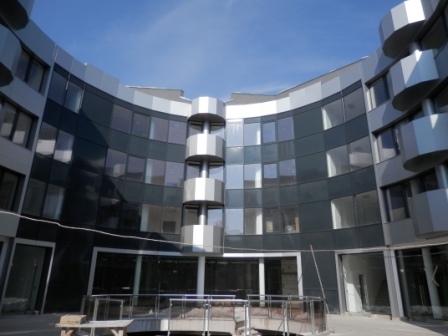 The series of elements in the chord on curved front facade, which had to be properly sized and installed exactly aligned on all floors to no problems with the installation of etalbond. Second - columns on the terraces had to put on the bent bond in a very small radius.